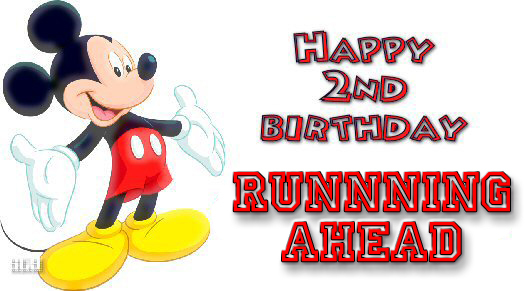 Two years ago this month RunningAHEAD.com went online. Back then, the home page was so bad that it probably turned more people away than convinced them to give the running log a try. The home page went through several overhauls, but I still don’t like it as it doesn’t convey what this site has to offer. Since writing and selling an idea aren’t my strong suits, it is relegated to the backburner for quite some time to come. When I first created the site, I never imagined that it would evolve into a vibrant community of runners. As I am writing this, the “Suggestions and Feature Requests” forum still has more topics than any other forum, and that is both a good and a bad thing. To me, the requests are votes of confidence: you find the site useful enough that you wish to see it continue to improve and grow. These ideas are the investments you make to the site, and it is my job to make it happen. The bad thing is as more members sign up, the number of suggestions will grow geometrically while I continue to work on them at a linear rate. I triage the suggestions as they come in to decide when I would work on them. The criteria I use are how relevant it is to a runner, and how many users will benefit from it. Let’s use race listing as an example. This is something that I thought of before I launched the site two years ago. It’s a great idea not because I thought of it, but because it contributes to the running community. Still, I feel that the site is not ready for it. The components in the site can be separated into two groups: user dependent and user independent. There is probably a better word for it, but I’m not creative enough so this will do. The training log is user independent because your use of it does not rely on someone else. Another example is the mapping tool. Forums and groups fall into the user dependent category. You need user contributions in order to have any meaningful experience in the forums and groups. Similarly, the race listing feature can succeed only if there are sufficient number of users adding events. Instead of creating a feature that might languish due to inadequate user support, I can work on other features that are not as user dependent until the time is right. Right now, I’m working on allowing you to import your GPS data. Although there aren’t too many users have GPSs, I know this number will increase in the next year as these devices gain popularity and become more affordable. Technology will continue to improve and I will make sure that RunningAHEAD.com grows with it. Eric...the first time I laid eyes on RA I was in love! Thanks thanks and did I say thanks. Thanks for uploading my old log and help me become independent on the site. this is the 1st site that I have been a dependent forum reader and writer. Got over my computer shyness. So how many members are there after 2 years? Eric this site is great! I've always been one of those runners who runs a bit, catches a cold, loses motivation and gives up for a while before starting the cycle all over again ... UNTIL I discovered this site. It may have only been 4 months but they have been the most consistent 4 months of running I've ever done and this site is 100% the reason why. You've done such a great job of creating a user friendly site that has all that I need and looks great too (so many sites are really ugly!). Whilst everyone can think of other things they would like to see these are just the icing on the cake and you take your time in getting them to us! I also want to give a big thank you for the forums and user groups, I think they create something really unique here! Its great to find somewhere so unintimidating and friendly and to know that there is a place all of my running questions can be answered! Now that the community is so big I wonder if there is always an RA member out running somewhere?? Keep up the good work - we love you!!! Eric , Congratulations on the 2 year anniversery of RA! Like vickispill, it wasn't until I joined RA that I started running consistently. This is a great thing you've created! Thank you! Well done, Eric. LOVE this site. Thanks for all of your hardwork. I am sure everyone appreciates it. Eric I just wanted to say 'happy birthday' to RA - it has been the best thing I did when I moved my running log over to RA - you do run the best site on the web (best customer service I ever saw)! Neil UK BTW - Zoom-Zoom - I love the Mickey Mouse card ... but why does RUNNNING have three NNNs? Running ... just keep running! Fancy a holiday running in the French Alps? ...and coming from another perspective, I am a new member, joined just last week. Moving my log (from another site) was a breeze and I find the look and feel of this site refreshing. I've been running for over 30 years, since before most if not all of us had computers and RA certainly does continue the motivation to get out there everyday! Happy Birthday and thanks! Steve P.
BTW - Zoom-Zoom - I love the Mickey Mouse card ... but why does RUNNNING have three NNNs? Eric, this site is great. Not only the training log which continues to evolve, but the forum is just right--big enough to keep the conversation going but not so big that we get into flame wars, which are increasingly the norm on some other forums. I still can't believe that you devote so much time for nothing. My message to readers, and I will say this because Eric won't: YOU SEE THAT PAYPAL BLOCK ON THE RUNNINGAHEAD HOMEPAGE? USE IT! Seriously, if you use and enjoy this site like I do, please try to help Eric defray the costs of hosting such a great site. It's the least we can do. Happy Birthday, RA! Thanks, Eric - you have done such an awesome job with this site - that you have attracted a really great community of runners to call this "home". Thanks again!